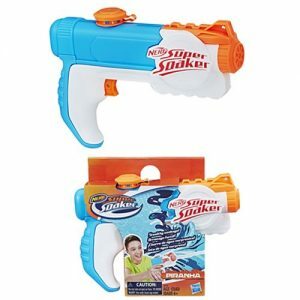 With the weather finally starting to feel like Spring (nearly a month after the official first day of Spring), I managed to find time to do a little testing of the new pump-action Water Warriors Trident by Buzz Bee Toys Inc. 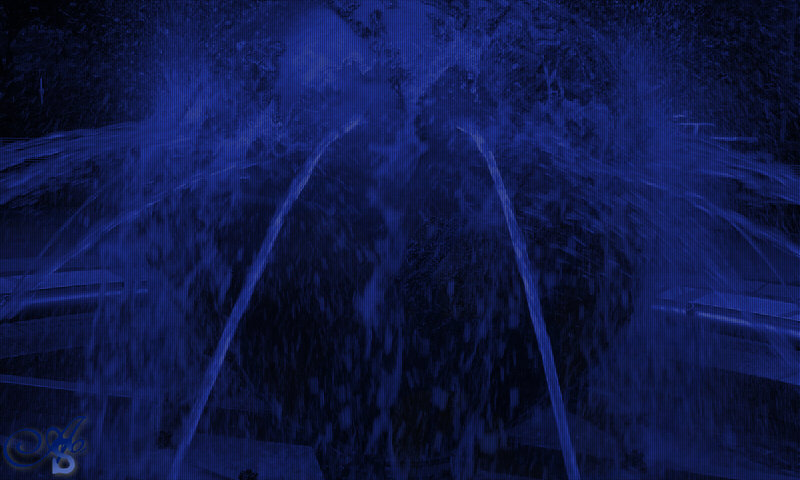 The Trident is aptly names since it produces three streams with every pump. However, the Trident has a functioning trigger that allows one to toggle whether the streams are parallel (default setting) or spread (trigger fully pulled). One can theoretically set the nozzles apart at a variety of angles by only partially pulling the trigger, but this is tricky to do in practice since it is a pump-action blaster that requires continuous arm movement to generate its streams. 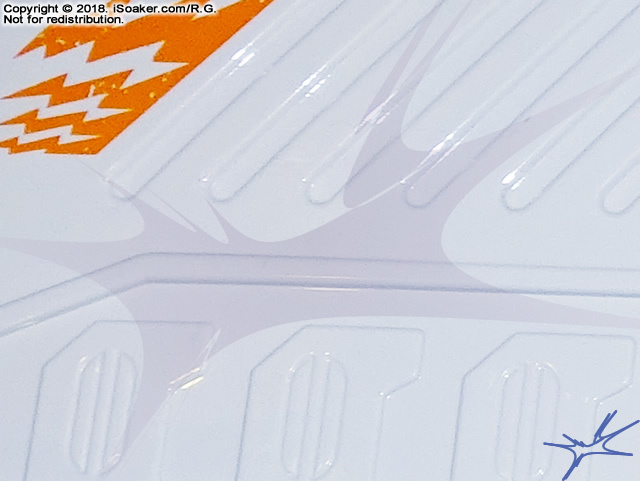 Check out the review of the Water Warriors Trident (2019) on iSoaker.com for more details. 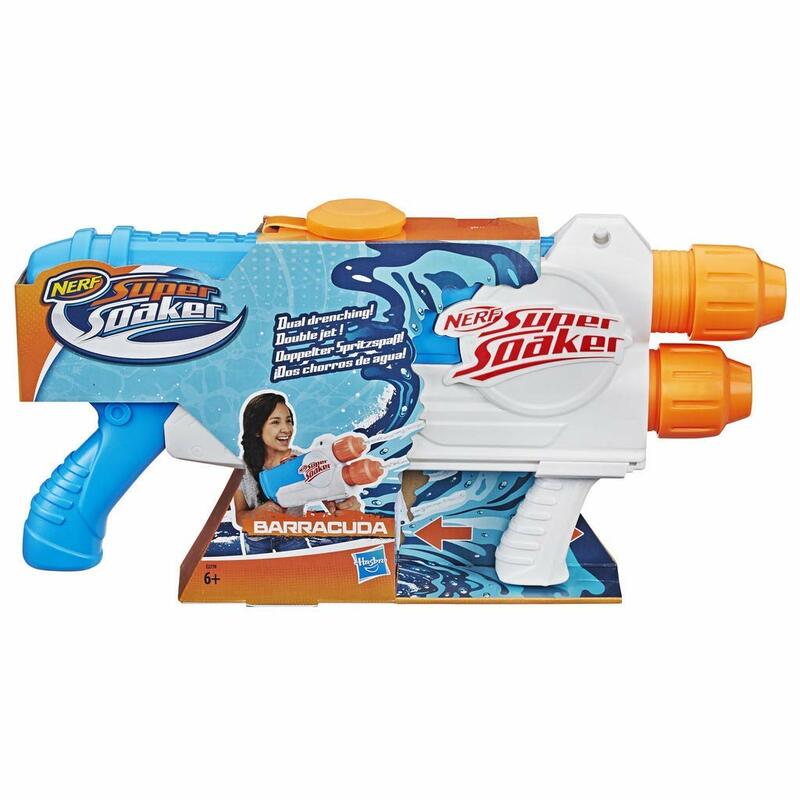 Looks like there’s at least one new Water Warriors water blaster for 2019, the Water Warriors Trident. 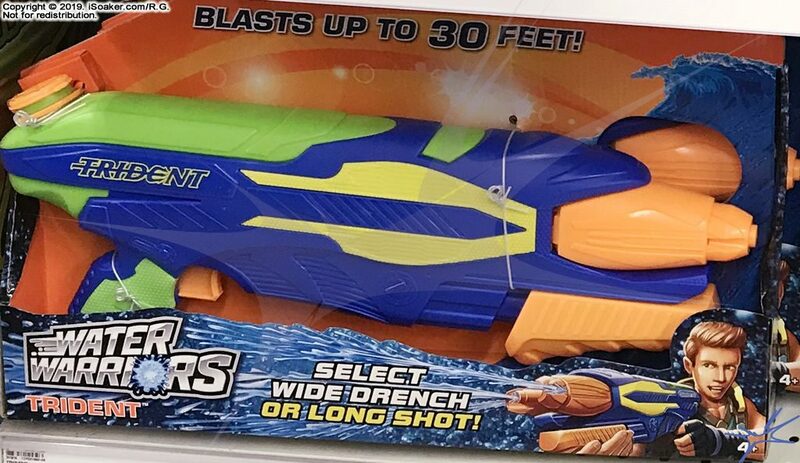 The Water Warriors Trident appears to be a pump-action water blaster with three nozzles. The nozzles can be spread apart at varying angles by pulling on the trigger. 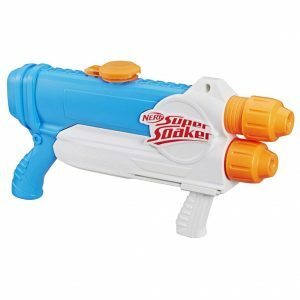 In this sense, I’d classify this as a novelty blaster with some actual tactical benefit in the field. Of course, need to see how the streams actually perform. Looks like there are a number of ‘Fortnite’ themed Nerf Super Soakers coming. 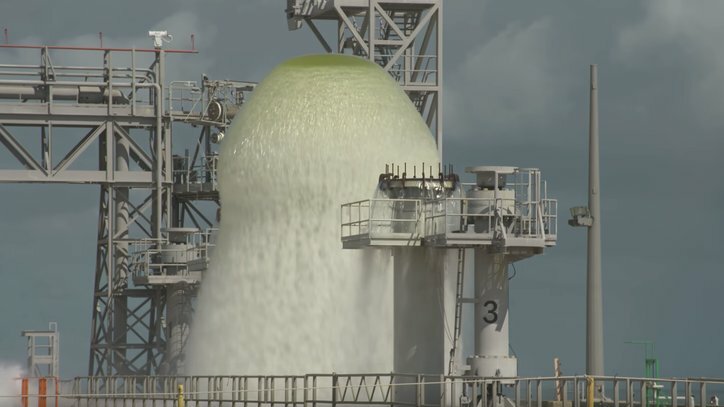 Not bad… I want one! 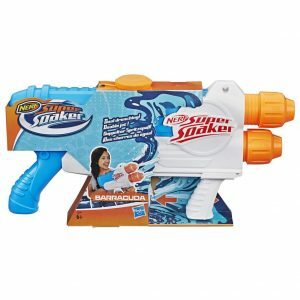 Seems like news on upcoming Nerf Super Soaker models can be discovered a little earlier every year. 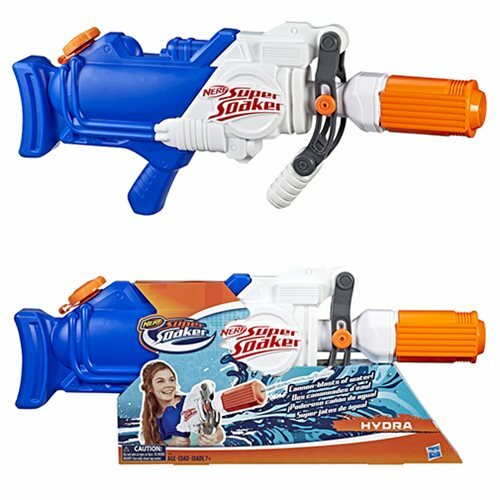 The Hydra appears to be an inverted Nerf Super Soaker SoakZooka while the Piranha is a trigger-based water blaster. No image is available for the Barracuda, but from its description, it has two stacked barrels that blast (continuously?) while pumping. Images and information obtained from Entertainment Earth. More information on these water blasters as they become available. No, I don’t know where Summer, 2018 went for me. Well, that’s not 100% accurate, but what I can say is that life/work/other responsibilities have kept me far busier than I had initially anticipated. 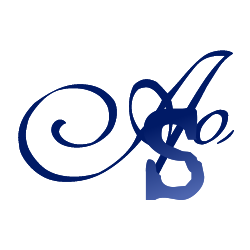 Nevertheless, while this site and my other sites such as this other small site of mine have not had many updates, they are merely temporarily dormant and far from forgotten. In fact, I’ve begun making some tweaks and considering what type of updates I can realistically do on a more regular basis. Will post again once I have more concrete updates and new content to share. For now, for those in the higher Northern latitudes, enjoy the warm weather while it lasts; fall cometh and winter will be here before we know it. 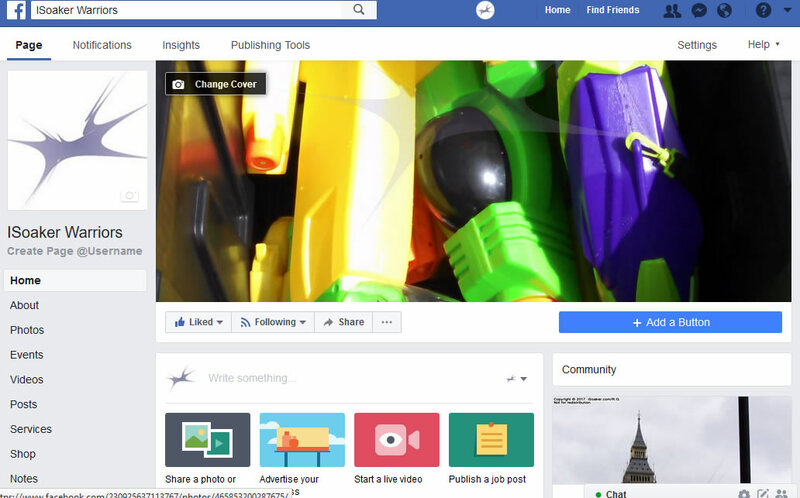 In light of all the privacy and data issues on Facebook (plus given the fact that I never really liked that platform), I’ve opted to remove the “iSoaker Warriors Facebook” page. All-in-all, not much of a loss, truthfully. 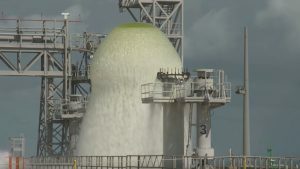 There wasn’t any major content on there, anyhow, and its visibility was mediocre at best. Besides, with what little free time I have these days, might as well focus on developing content where I find most enjoyment, anyhow.